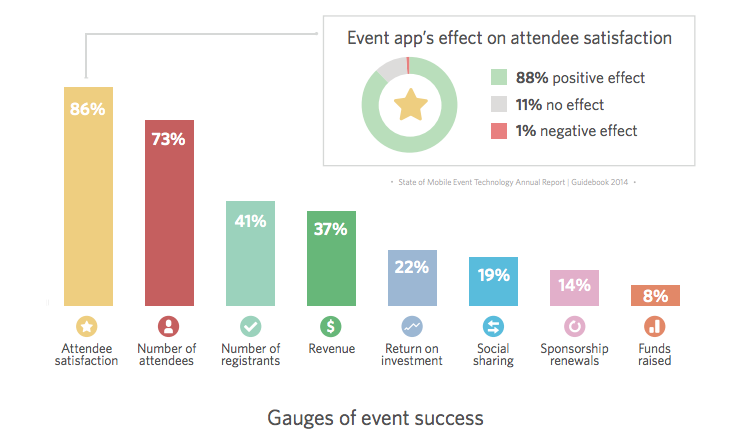 Guidebook is pleased to announce the State of Mobile Event Technology Annual Report 2014. The Event Technology Report is based on completed surveys from more than 500 event professionals who use mobile event apps year-round for many kinds of events: ranging from 10-person meetings to 130,000-attendee conventions. The published event tech report provides an in-depth look into the benefits and concerns related to using mobile event apps, true costs and ROI, new technologies, and the primary concerns event planners are facing in 2014. 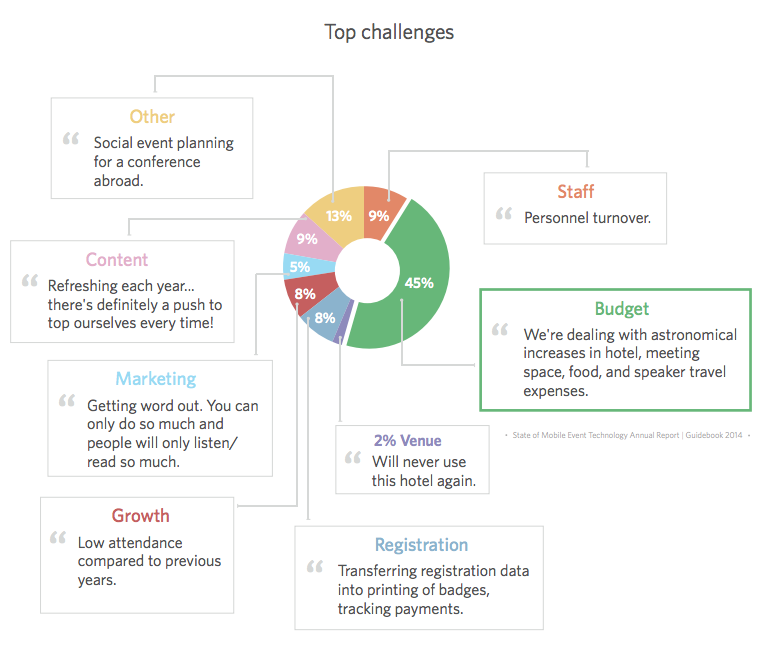 The real cost of an event app is only 1.2% of the budget for each attendee, on average. In contrast, printing paper programs is more than 2x the cost. To learn more, get the 35-page State of Mobile Event Technology Annual Report 2014… it’s FREE.